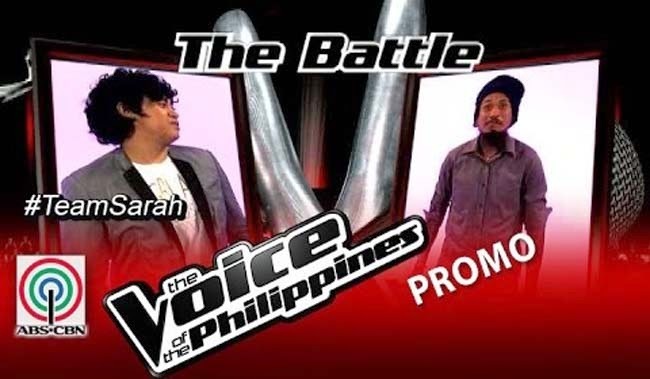 It is Team Sarah’s Kokoi Baldo vs Elmerjun Hilario turn for the Battle Round on December 7, 2014. The Voice of the Philippines Season 2 is now on the Battle Rounds after finishing the Blinds Audition. Kokoi Baldo had instantly gained popularity as he is one of the few four chair turners in the second season of The Voice of the Philippines. Coming from the Island of Negros, Kokoi Baldo had felt at home in the island of Boracay, doing gigs and being a good father to his child. Singing ‘One Day’, he instantly caught the interests of the coaches with his reggae style. Elmerjun Hilario is a wedding singer who can play 7 musical instruments. He performed ‘The Sign’ of Ace of Base and caught Sarah’s attention, making her think that the piece was compelling though there was evident nervousness. Bamboo promised to steal him, will he be able to do so? The Battles Round Result: Sarah introduce Hilario to Baldo, the four chair turner, and they were very surprised. Hilario was nervous because he knew Baldo was good in his own style, however Baldo was also nervous because Hilario knew the song well and the song itself is different from his genre. Team Sarah’s Kokoi Baldo and Elmerjun Hilario sang ‘To Be With You’. Sarah seemed to enjoy the performance. Bamboo said that both of the singers seemed to have survived a hard challenge. Apl said that Baldo did good in carrying the rhythm and said he sill steal him if given the chance. Leah said that Baldo did well. Sarah loved the performance and shared that they had a hard time during the rehearsals. Sarah had chosen Baldo and had to let Hilario go. Suddenly the other three coaches pressed their red buttons which overwhelmed Hilario and brought him to tears. Leah said that she is extremely hands on. Bamboo said that his team is strong while Apl said he always bonds with his team. Hilario had chosen Bamboo as his new coach.